Equestrian Trend: The Bridled Horse & Equestrian Trend - Buy the Horse Clutch & Get Free Shipping! 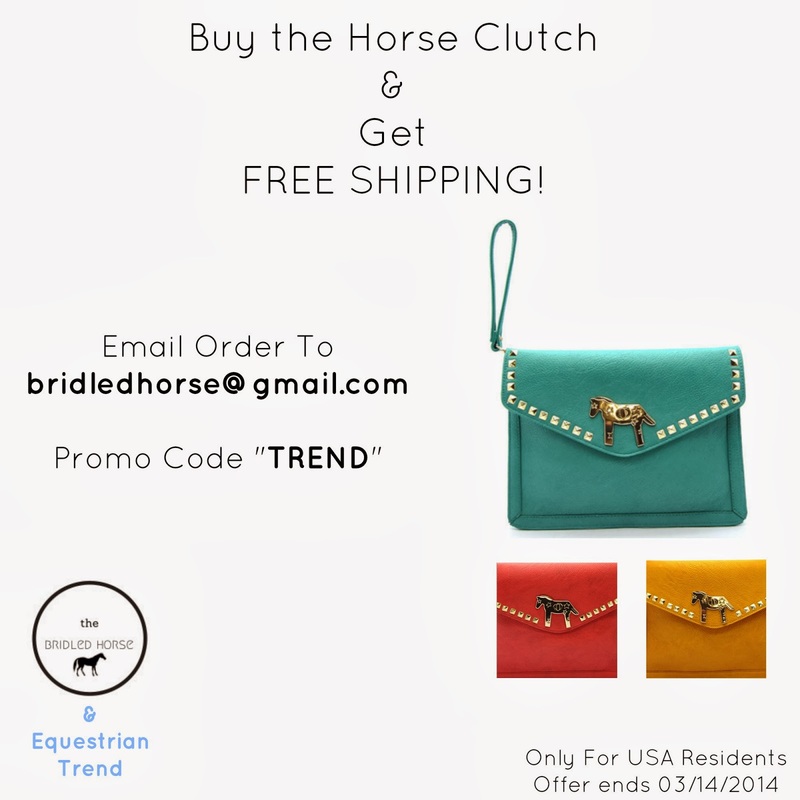 The Bridled Horse & Equestrian Trend - Buy the Horse Clutch & Get Free Shipping! Last week I wrote a post about the Horse Clutch by The Bridled Horse (read here) and it was a huge success! You really love girly and horsey accessories, don't you? Me too! Now, it is time to give you, the best readers on Earth, the opportunity to get your Horse Clutch without having to pay the shipping! How amazing is this?! Make sure you use the promo code "TREND", you will only have free shipping if you use it! The Bridled Horse is a small and recent company so this offer is only to USA residents. Let's help her growing up so that we can all have free shipping! All the clutches will ship at the end of the promotion.